Apple says apps are the future of television, which is why you can run a whole host of them on your Apple TV. There are apps for all sorts of tasks which we look at elsewhere on this site, but in this report we’re going to tell you about the apps you should install immediately to find out why television will never be the same again (Hint: There’s more to this than the also essential YouTube app). NB: Prices change across different countries and some of these apps aren’t available everywhere, so please check for price and availability where you are, now read on. Always adding original movies and series. Flexible plans for multiple screens. Limited selection of current cable shows. No support for live TV or HBO. Netflix has to be the best source of streamed mass-market movies we have, at least until iTunes offers a streaming movie service. For a relatively low monthly fee, Netflix lets you choose from a vast range of film and television series; offering personalized recommendations to help guide you to fresh titles. The great thing about the service is you can access it on your iPhone, iPad and Mac, as well as on your Apple TV. Exclusive movies and shows you won't find anywhere else. Requires a pricey HBO subscription. Unlike Netflix, original series are released one episode at a time. Game of Thrones is a big, big deal and HBO’s drama output is much, again. This means HBO Now is an essential app. What you get is compelling: as well as George Martin’s continuing saga concerning the Stark family, you also gain access to literally thousands of hours of HBO’s extensive catalog of compelling content, including legendary shows such as the Sopranos. This has to be an essential app for any US Apple TV owner. Offers a better deal than most cable packages. Flexible pricing plans with and without commercials. No original content like Netflix. Navigating the interface could be easier. A second essential Apple TV app, at least for US readers, Hulu Plus offers a huge collection of television shows drawn from some of the big US cable networks. 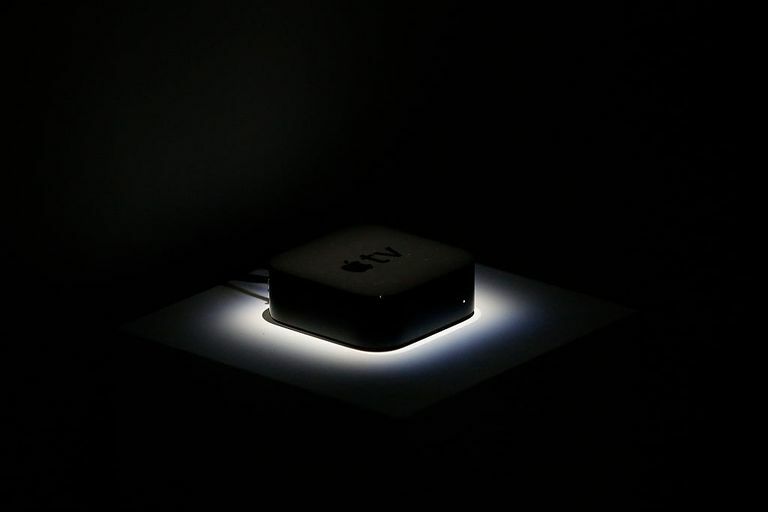 You get to see the latest episodes of most of the latest shows for one fixed price, and in combination with one or more of the other apps discussed here, your Apple TV will be your only source of TV entertainment in no time at all. Supports Android Auto and Apple CarPlay in the U.K. Reliably recommends content you might enjoy. Most content is restricted to U.K. listeners. If you’re lucky enough to be in the UK you can install and use the brilliant BBC Sounds app (formerly iPlayer). This gives you a access to a huge quantity of material from across the broadcaster’s world-renowned collection of content, including all the most recent broadcasts across all its channels (BBC One, BBC Two, BBC News and all the rest). There is some speculation the company may try to offer its service into other territories in future, though licensing problems make this a complex task. Wide selection of international content. Users complain about customer service. Too many ads for a premium service. National content can be incredibly popular outside its borders, and Yupp TV proves the point. The app provides access to a huge range of South Asian content, including thousands of on-demand Bollywood movies and local sports alongside live and catch-up television broadcasts. Another great example of this is KlowdTV, which offers US-based audiences access to live transmissions from across South America. Up-to-date news and game scores. Automatically adjust game schedules to your time zone. Live video feature must be purchased separately. Requires an annual renewal fee. You don’t need to be a baseball fan, or even a sports fan, to appreciate MLB TV; it’s a great articulation of how every sporting app should be in the future. You get in-depth on-screen stats about the games; access to home or away broadcasts, the capacity to digitally record live games so you don’t miss a moment and the capacity to watch multiple games at once. You also get to access the service on multiple formats. (Hockey fans should choose NHL.TV, soccer fanatics may opt for MLS Live; there are many sports apps to pore through. Impressive variety of new and older Japanense anime series. Limited selection of full-length movies. If you’re a fan of anime or manga animations then you’ll love Crunchyroll, which offers over 25,000 episodes of the most popular Japanese shows, sometimes within just one hour of their being broadcast. There’s a monthly subscription fee to be paid for total access, but you’ll find a useful quantity amount of free content to keep you entertained, and the full service offers you access to a huge quantity of anime and manga movies. Easy to set up notifications for breaking news and events. No option to rewind live feeds. Short news clips can only delve so deeply into a subject. Another essential news-related app, Reuters lets you choose to create your own short new broadcasts across different time periods. You get all the credibility of the broadcaster’s content, updated as events unfold and available where you are. Wide array of topics range from scientific to inspirational. Easy to sync with your TED.com profile. You can’t go wrong with TED talks. The app provides you with a really cool way to access the full collection of 1,900+ incredibly educational and inspiring talks through your television set, divided into categories. You can also choose to play your talk immediately or save it until later on. If you save a talk you will later be able to access it on any logged in device. Usually offers a good mix of classic, cult, and blockbuster films. Has curated lists from your favorite directors and actors. Fewer options than other streaming services. Movies are rotated a little too frequently. The problem with the scale of available online video content is that while automated systems can figure out general preferences, it takes a human touch to tie viewers up to things they most love. Tribeca Shortlist tries to close this gap by offering a small selection of movies that have been selected by actors, directors and other industry insiders. Most of the films are accompanied by video recommendations in which you find out why the films are worth watching. There’s usually something there since the service changes one-third of its catalog every month. Diverse catalog of international content. Tons of obscure movies that are hard to find elsewhere. Only works with generation 4 Apple TVs and newer. Films are only available for a short period of time. Another curated service, MUBI, is a fantastic resource if you want access to the very best films from across the planet (it has been called “Netflix for people who want to stop watching trash.” Films are available for just one month with a new title added daily. What is great about the service is its generous one-month trial offer and the huge range and extent of its hand-selected movie collection. What Is Live Tune-in on Apple TV?